Our Decatur Property Management Company & Decatur Property Managers are here to care for your Decatur rental properties. Our property managers in Decatur will manage your rental property and give you time to live your life! Looking for a Decatur property management company? ALH|Podland can help! Since 2008, we have been a successful property management company in Decatur and the surrounding areas. With 32 years of combined experience, our property managers know how to provide investors with a service they can count on and trust! Why are we your best choice for management your Decatur property? We are investors, too. 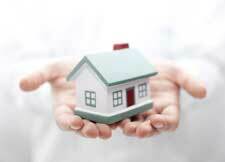 We like to say that we offer property management for investors, by investors. We know your goals and we can help you conquer them. With ALH|Podland, learn how to maximize your return on investment and how to select investments that will lead to higher quality tenants. As property managers and members of the National Association of Residential Property Managers, we take care of your rental property as if it were our own. 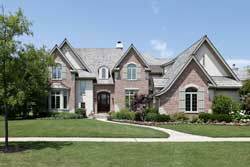 We are local and aware of the area’s market trends. We have many years of personal knowledge of the area that will allow us to better service your needs. As a licensed property management company, ALH|Podland strictly adheres to all federal and state laws, including Fair Housing Laws. How can we take the hassle out of Decatur property management? We present your property to the largest rental market and the largest number of tenants. Our property managers use a broad range of advertising media. Yard signs, resident referral programs, realtor and leasing company referrals, as well as internet advertising on sites such as Zillow, Trulia, Hotpads, Realtor, and Homes.com. We find you good, high-quality tenants. Tenant screening with 5-point identifications, criminal, eviction, credit, and rental history. Our advanced online portal keeps track of records. We maintain all documentation for your rental property so you don’t have to – including lease agreements, maintenance records, and accounting records. And yes – this even includes monthly reports, as well as 1099’s and Schedule E at the end of the year. Maintenance issues? No problem. We provide qualified, reasonable maintenance as a service to our investors due to our favorable contracts we have been able to negotiate with heat and air, appliance, pest control, lawn service, paint, and carpet companies. We also have a convenient 24 hour, 7 day a week emergency hotline! At ALH|Podland, we know you have many choices for your management company needs. Why not give our seasoned professionals the opportunity to show you how we will treat your rental property as our own? BEFORE you make any decisions, be sure to check out our blog and our YouTube channel for all kinds of information, tips, and tricks on property management in Decatur. And don’t forget to like us on Facebook, follow us on Twitter, or add us on Google+ to stay on top of all of the latest happenings in the world of rental property management! Our mission is to provide our clients honest and knowledgeable property management services in Decatur and tenants a place to live that they can call home. Ensuring the highest standards of habitability in every rental property we manage while producing the highest ROI for our clients.